Our keynote speaker this year was Mr. Gale Red, Adjutant of the Lt. George E. Dixon Camp #1962. His subject is very poignant in this day and age of the moral disintegration of America. Titled; “Our Confederate Ancestors are watching”. In S.D. Lee’s “Charge” he states that we are pledged to defend our Confederate ancestor’s good name, to live according to his high moral qualities, and to carry on the principles which made him the ideal person that he was. It is good to be reminded of the high expectations our forefathers had for us. 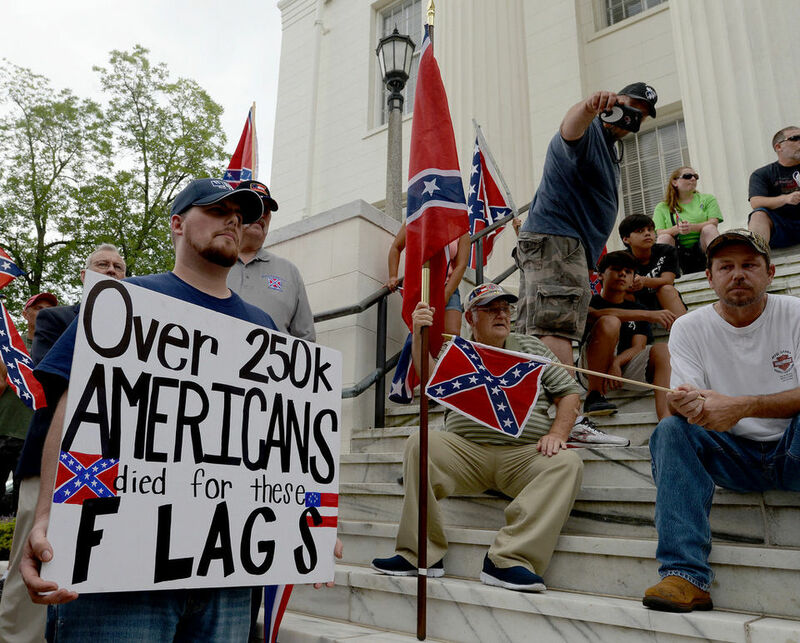 Confederate Flag Rallies Draw Thousands From Across The South. In the aftermath of the TV campaign of hatred against all things Confederate, good folks are outraged at the ongoing attack on their Southern symbols. 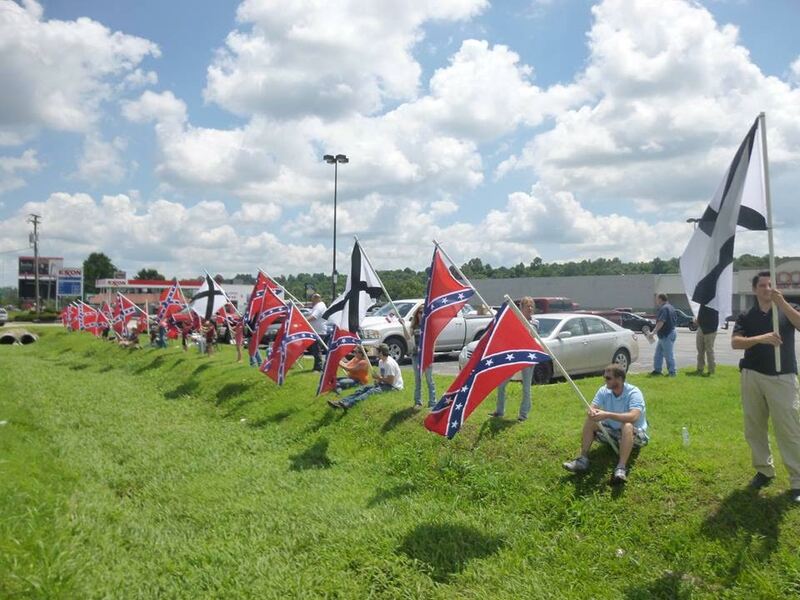 Splendid news from across Dixie today, as thousands of brave White, and some Black, men and women assembled across several states to demand their heritage and symbols be restored and respected. 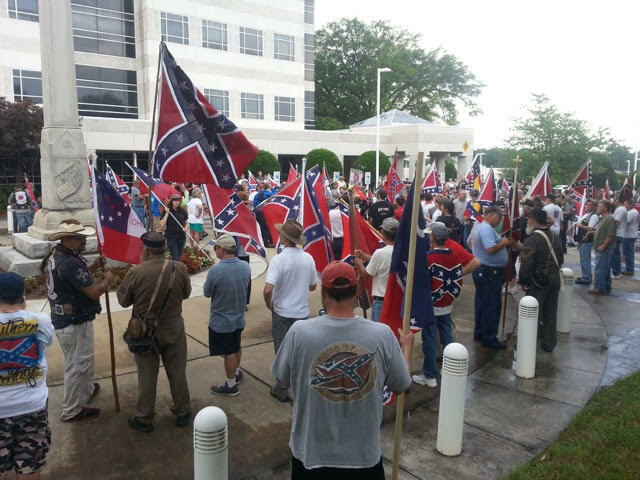 The largest rally in Montgomery, Alabama, site of Governor Robert Bentley’s treasonous decision to remove the Confederate flag from the Capitol monument, drew well over a thousand folks, by conservative estimates, and was hailed as a massive success by those organizing the event. 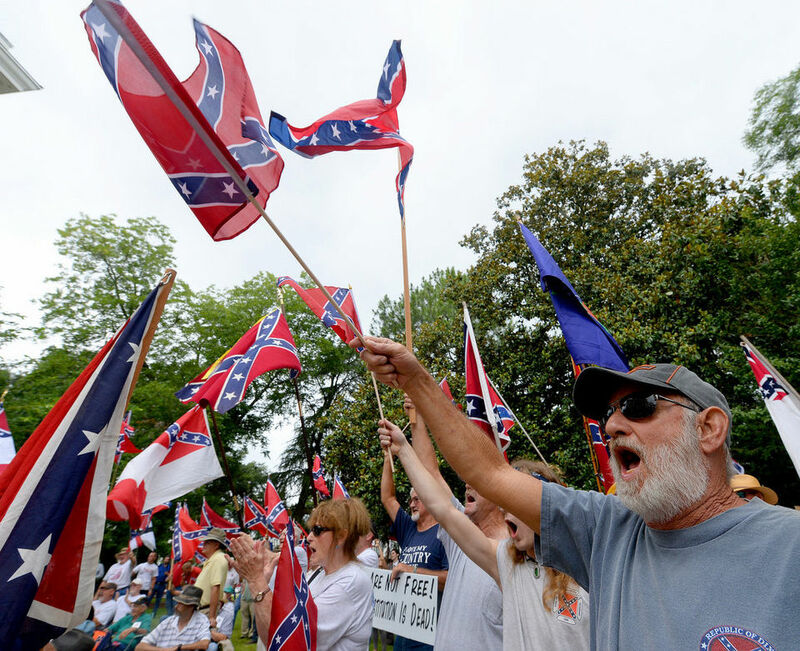 Speeches concerning the attacks on Southern culture and history were given to a rapturous crowd, topped off with a thunderous rendition of “I Wish I was In Dixie” that brought many of those gathered to the point of joyful and patriotic tears. 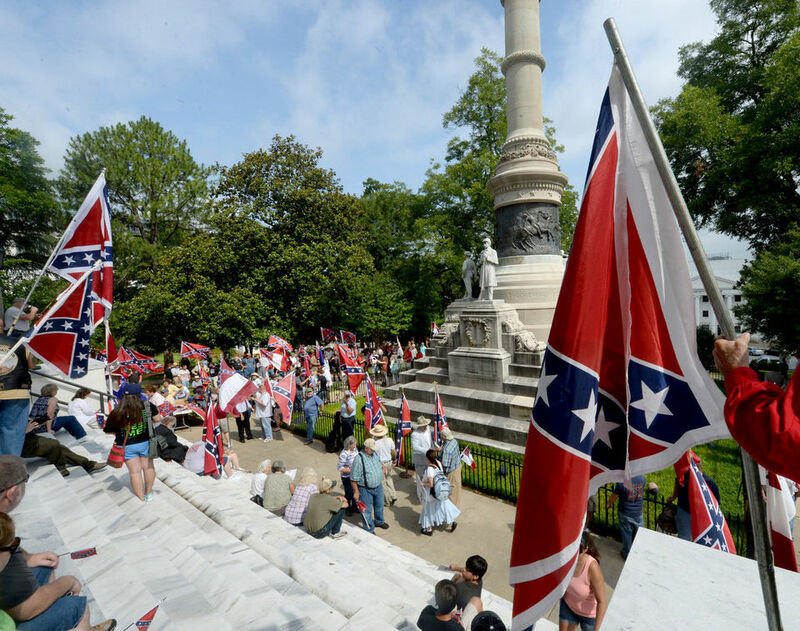 Other rallies in Tampa, Florida, Harrison, Arkansas, Gastonia, North Carolina, and Columbia, South Carolina drew hundreds more courageous Southern patriots into the struggle, as the waves of discontent over Marxist cultural genocide continue to grow stronger. This is only the beginning of something far greater, and a sign that a tough and hardy people, bound by ties of blood, faith, and custom, cannot be held down indefinitely by those who wish death and destruction for all. Arkansas witnessed an ad hoc awakening on Saturday as well. No retreat, no surrender, no apology. 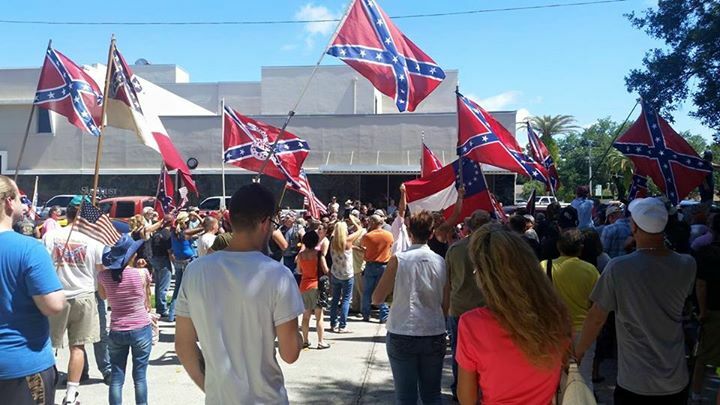 Near Tampa, Florida, hundreds of protesters prevented a tiny group of degenerates from burning a Confederate flag. 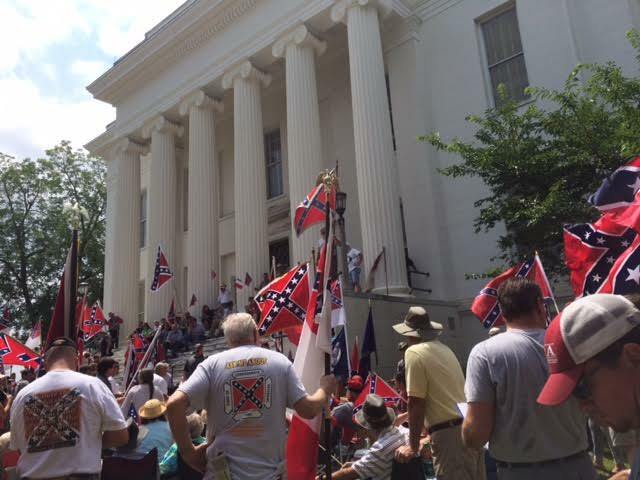 A snapshot of some North Carolinians standing up for their heritage and history. Utz Camp Confederate Potluck Dinner. Our January 2015 Meeting and Potluck Dinner was a great success. 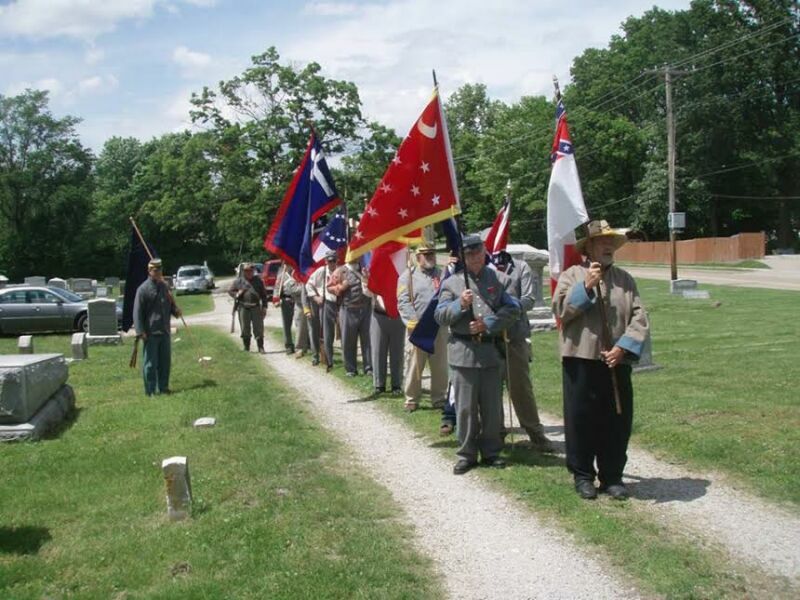 We are approaching eighty members and are now the largest Sons of Confederate Veterans Camp in the state of Missouri. 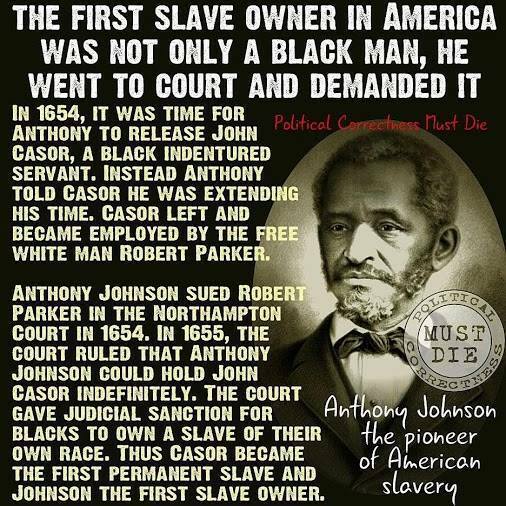 If you would like us to help find you a Confederate Ancestor click here. Below is a picture of some of our camp members receiving Certificates of Appreciation. Merry Christmas and Happy New Year from the Major James Morgan Utz Camp # 1815 and the Brigadier General Francis Marion Cockrell Chapter # 84 of the Military Order of the Stars and Bars. Missouri SCV, Utz. Camp Awards. 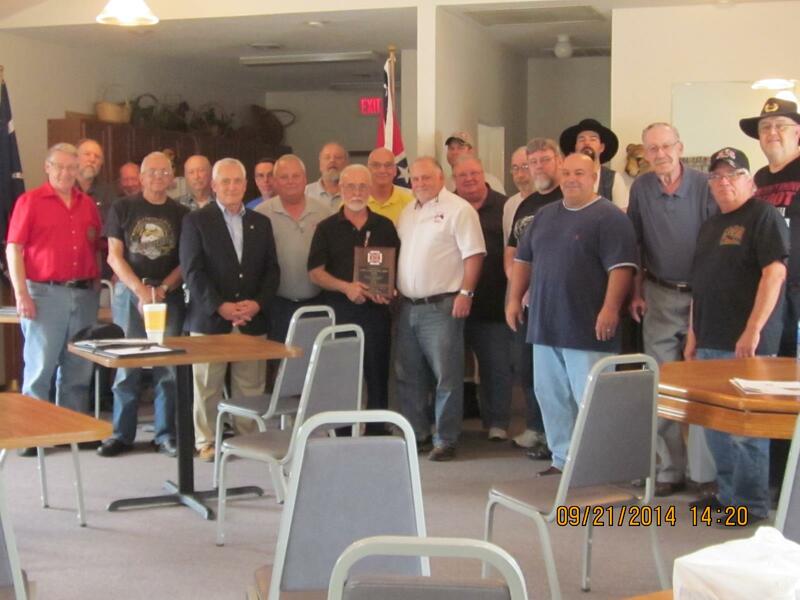 Our September 2014 camp meeting with Missouri Division Commander, Darrell Maples. 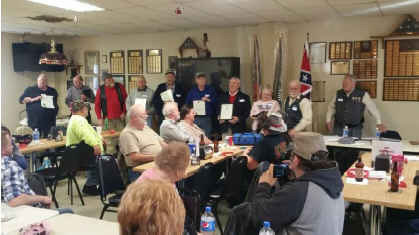 Commander Maples presented awards to the camp that were won at the National Sons of Confederate Veterans Reunion held recently. SCV and League of the South To Rally In Lexington. 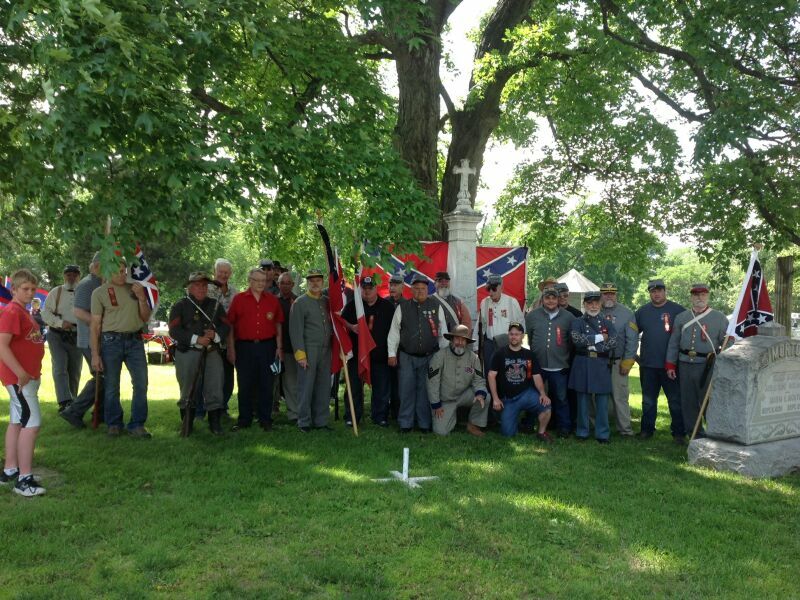 The Maryland/Virginia League of the South will be holding a protest in Lexington, VA this weekend on Saturday, July 26th, in response to the removal of the regimental Confederate battle flags from Lee Chapel at Washington and Lee University. The meeting will begin at the Jackson monument at 10:00 AM. 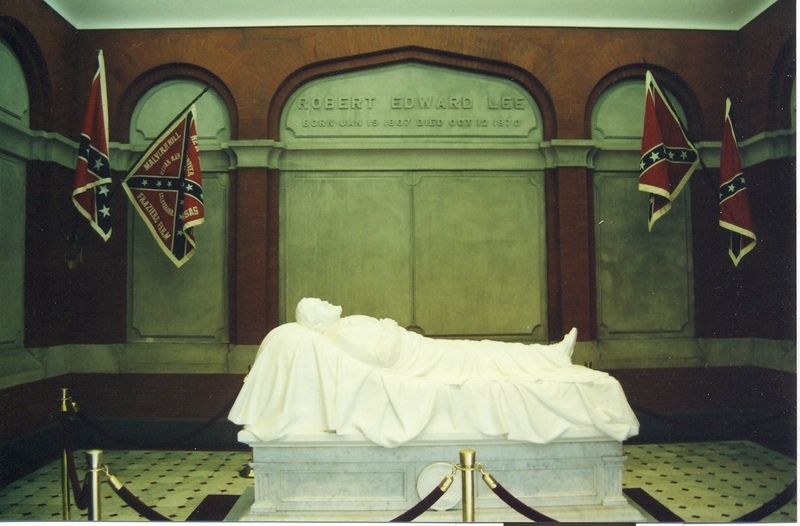 “Washington and Lee University has desecrated Robert E. Lee’s grave, but can remedy its error by restoring the Confederate battle flags and separating the chapel from university politics, the commander of the local Sons of Confederate Veterans said.